The New York Public Theater is arguably the most influential theatre in the US today. Housed in what was the Astor Library on the edge of the East Village in Manhattan, it is all at once grand, imposing and instantly welcoming. It is home to a diverse programme of work that stretches from new plays to Shakespeare, new musicals and cabaret to work by experimental companies. 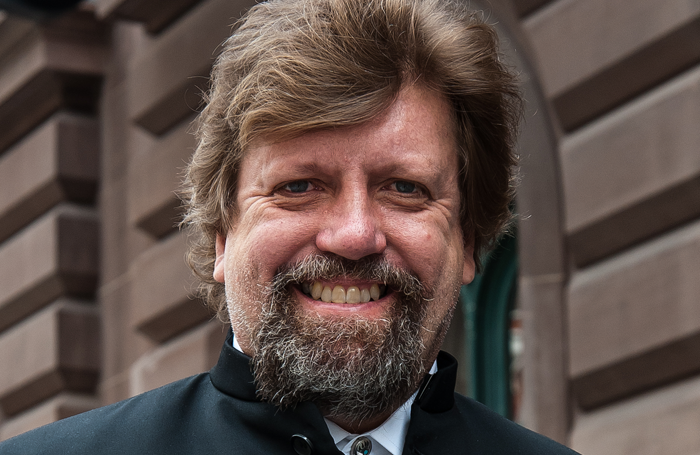 That diversity is the essence of the theatre’s identity, it’s artistic director Oskar Eustis says. Eustis has run the theatre for 12 years and revels in the range of work it puts on. It is no less, he says, than a reflection of what America should be. 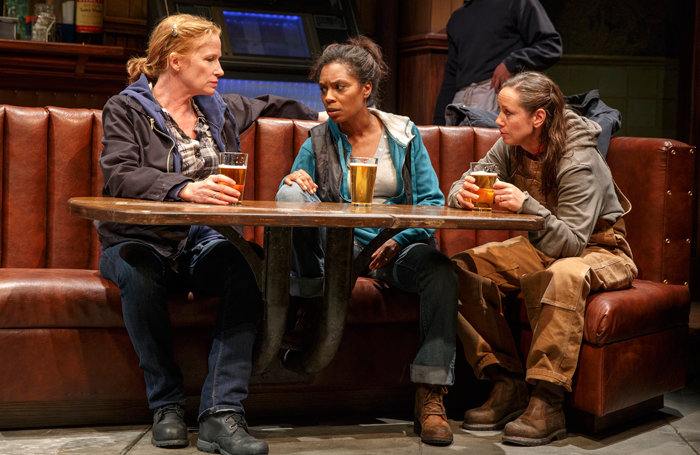 He hails the experimental work of PS122, the Kitchen and St Ann’s Warehouse, the Shakespeare plays staged at Theatre for a New Audience and new work at Playwrights Horizons. But if the Public dropped part of what it does, “everybody retreats to their corners and goes into their cultural niches,” he says. It has a range of spaces to cross those boundaries in, playing nightly to audiences in five separate theatre auditoriums plus a cabaret club space called Joe’s Pub, named after the theatre’s founder Joseph Papp. Each summer, it also runs a season of free summer performances in Central Park at the purpose-built outdoor Delacorte Theater. Then there are the hits that have moved beyond Lafayette Street. 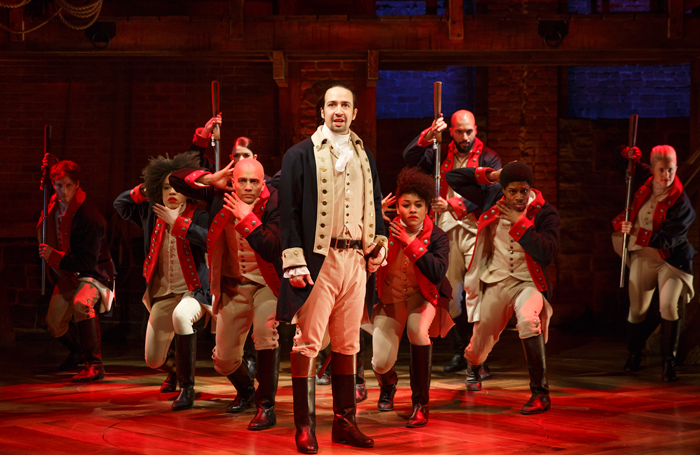 Shows that have begun their lives at the Public include the current smash hit Hamilton  that is playing on Broadway, in Chicago and on tour in the US, with a fourth iteration opening next month at the Victoria Palace Theatre in the West End. The Public will also send the UK the Tony award-winning musical Fun Home, which transfers to the Young Vic next year . 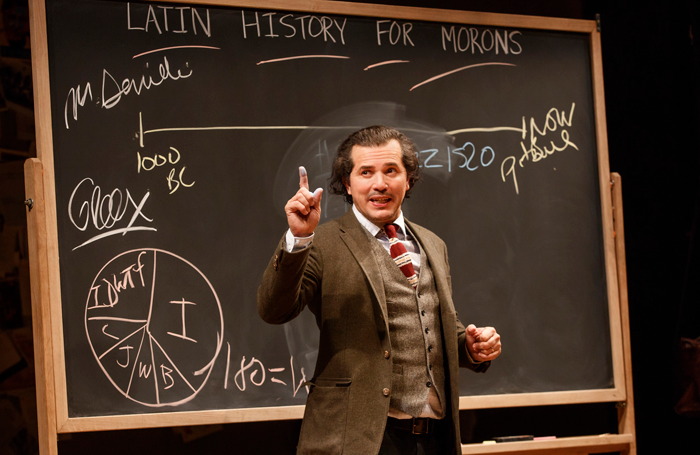 Broadway is currently home to a transfer of Latin History for Morons, John Leguizamo’s latest one-man show that premiered at the Public last summer. In recent years, the Public has also seen Broadway transfers of Danai Gurira’s Eclipsed and Lynn Nottage’s Sweat. 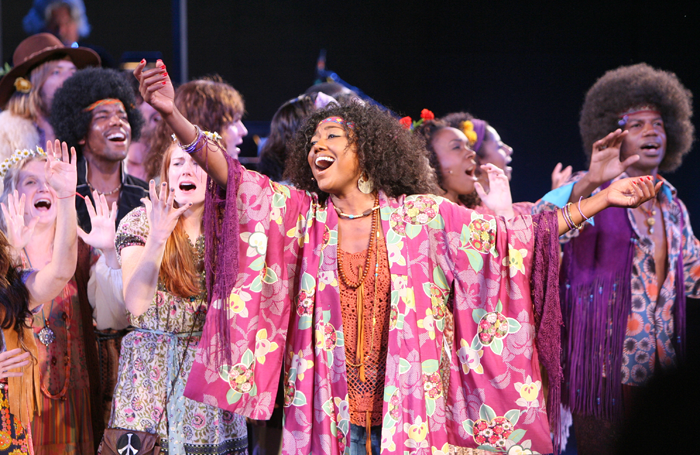 The night before we meet, there was a gala benefit concert reuniting the cast of the Public’s 2007 revival of Hair. When Papp brought in the show exactly 50 years earlier, while the Public was still under construction, it was its first non-Shakespeare production and really put the theatre on the map. Musical theatre has long played a large role in the Public’s profile. It was here that one of Broadway’s greatest tributes to itself – A Chorus Line – was launched in 1975, before transferring to Broadway, where it established the record for the longest run of a musical in history (until it was toppled by Cats). And now Hamilton is similarly making history – and remaking the modern musical with it – after beginning its life at the Public in 2015. But this time there’s a key difference with how Eustis is treating the revenue boost the theatre receives. “What Joe Papp did was take every penny from A Chorus Line and put it into the operating budget. When A Chorus Line closed, it left an enormous hole. He’d abolished the development [fundraising] department at the theatre, as he thought it was immoral to ask people for money when the theatre was making so much of it. I don’t share that belief,” Eustis says. What was your first theatre/non-theatre job? I was paid to be member of a children’s theatre company in 1971 when I was 13. I was paid $75 a week to perform in The Ugly Duckling, touring to elementary schools in Minnesota. That was a fortune to me then, and I’m absolutely convinced one of the reasons I decided on a career in theatre was for the money. What do you wish someone had told you when you were starting out? When I was trying to decide whether to move to LA or not, a friend told me to ask myself where I could be of most use and to think of it as service. I wished I’d been told that sooner. Who or what was your biggest influence? I have to say Brecht was and remains a touchstone, who I go to for quotes. I’ve directed The Threepenny Opera, Mother Courage and The Measures Taken, and produced Caucasian Chalk Circle and Galileo. What’s your best advice for auditions? Recognise that whether people want you or not is completely out of your control, and all you can do is present who you are. If you hadn’t been a director, what would you have been? Probably a lawyer, but I’d have been unhappy. Do you have any theatrical superstitions or rituals? I fight my superstitions because I don’t believe in them. One of my rituals is that when I direct a show, as soon as the curtain goes down I go outside and walk around the block (or the park if it’s at the Delacorte) and take a few minutes entirely by myself, to let go of the thing I’ve just made. Then I come back to the party and give it back to the world. Hamilton is not the only musical theatre game changer that the Public has staged under Eustis’ auspices. 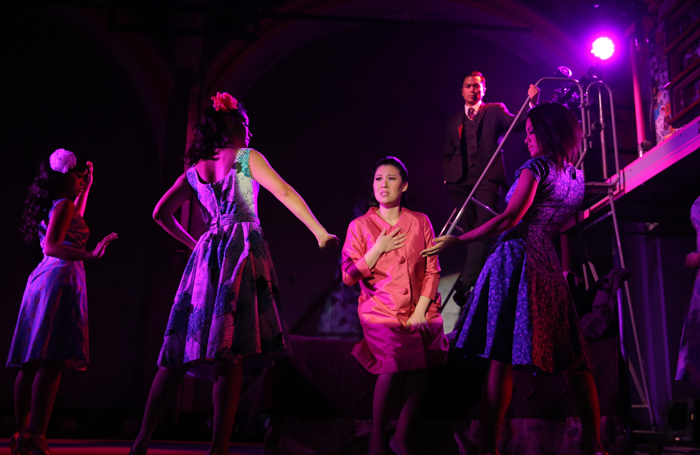 Two years earlier he put on Here Lies Love , an immersive musical with music by Talking Heads’ David Byrne and Fatboy Slim, which turned the theatre into a giant dance club as it told the story of the rise of former Philippines first lady Imelda Marcos. It subsequently transferred to London to reopen the refurbished Dorfman Theatre at the National. 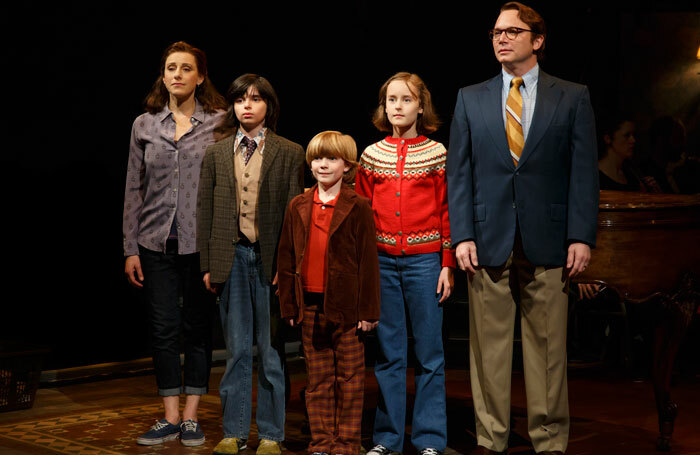 Then there was Fun Home, an improbable commercial hit that transferred to Broadway and is now on a US national tour. “Are you suggesting that an adaptation of a graphic novel about a lesbian and her suicidal father isn’t commercial?”, he jokes. The National’s version of the programme will launch with a new community-led production of Pericles, featuring a small cast of professional actors joined by a large number of non-professional actors cast from the NT’s community partner, the Queen’s Theatre in Hornchurch. It will be performed on the Olivier stage in August 2018. 1. The fundamental criteria for an artistic director is your taste, so you better expand, challenge and refine it every day. And if you pick something for any other reason than that you love it, you are sunk, so you have to learn to love more. 2. Pass as much credit as you can around and share it. It will inspire loyalty, and long-term relationships are key to this. 3. Theatre is not a puritanical art form, so don’t feed your inner puritan. He came to the Public after a long career in regional theatre; from San Francisco’s Eureka Theatre – where he both developed and directed the original production of Angels in America  – and Los Angeles’ Mark Taper Forum, to Providence, Rhode Island’s Trinity Repertory Theatre. He strongly promotes the Public partnering with other regional theatres to produce new work. The heart of Eustis’ own philosophy also sits at the heart of the Public’s, which is about democratising art. “The idea that the culture is a collective creation, it belongs to everybody and everybody owns a piece of it, they get to contribute to the story of it and see themselves in the story,” he says. That, he feels, is a big reason behind the success of Hamilton: “I know the reason why Americans ravenously consume it is that it lets us feel patriotic, which some of us haven’t felt for most of our lives. It reminds us what the better angels of America are. Those of us who like to believe romantically that there is something special about American democracy hope that at least one component of it has this penumbra of expanding inclusion. He has given the theatre stability not just with the bona fide commercial hit of Hamilton, but also with the web of partner venues the Public collaborates with around the US and abroad.